After more than twenty years of recording for the major labels, I decided to create my own. The venture was launched in January 2001, at the dawn of the 21st century; hence my choice of PIANO 21 as an appropriate title. This is the vehicle for my own recordings, some of them of live performances. They comprise both new recordings and tracks from private and radiophonic archives from various countries as well as re-issues. PIANO 21 gives expression to my twofold passion to share not only music from the major repertoire  naturally  but also the discovery of rare and less well known works. This double CD features both studio and concert recordings made in the 70s. 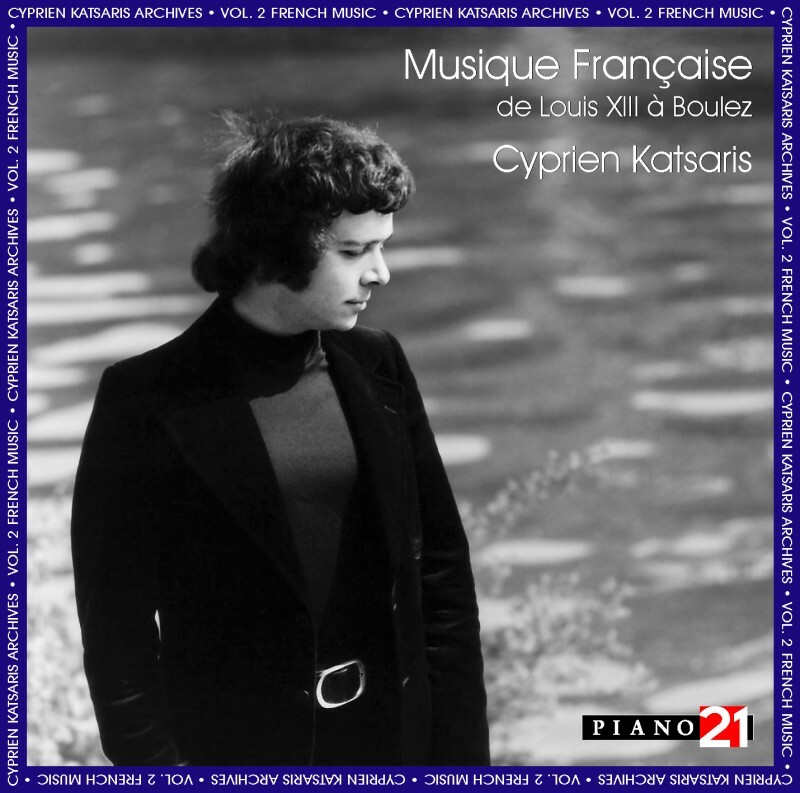 This is the inaugural volume of the Cyprien Katsaris Archives, including among other 19th and 20th century masterpieces, two landmark concertos: Rachmaninovs Third and Tchaikovskys First. These were recorded respectively with the Leipzig Grosses Rundfunkorchester conducted by Horst Neumann and the Orchestre Radio-Symphonique de Lille under Maurice Suzan. Cyprien Katsaris gives expression to his clear affinity with the Slav soul in three of Rachmaninovs Preludes, a Scriabin Etude and Tchaikovskys Song of Autumn. Revel in the scathing humour of Rodion Shchedrines Humoresque and the soaring grace of Prokofievs Prelude op. 12, no. 7 before abandoning yourself to the giddy whirlwind of Cziffras unbelievable transcription of The Flight of the Bumble Bee by Rimsky-Korsakov. Here, as again in the Toccata op. 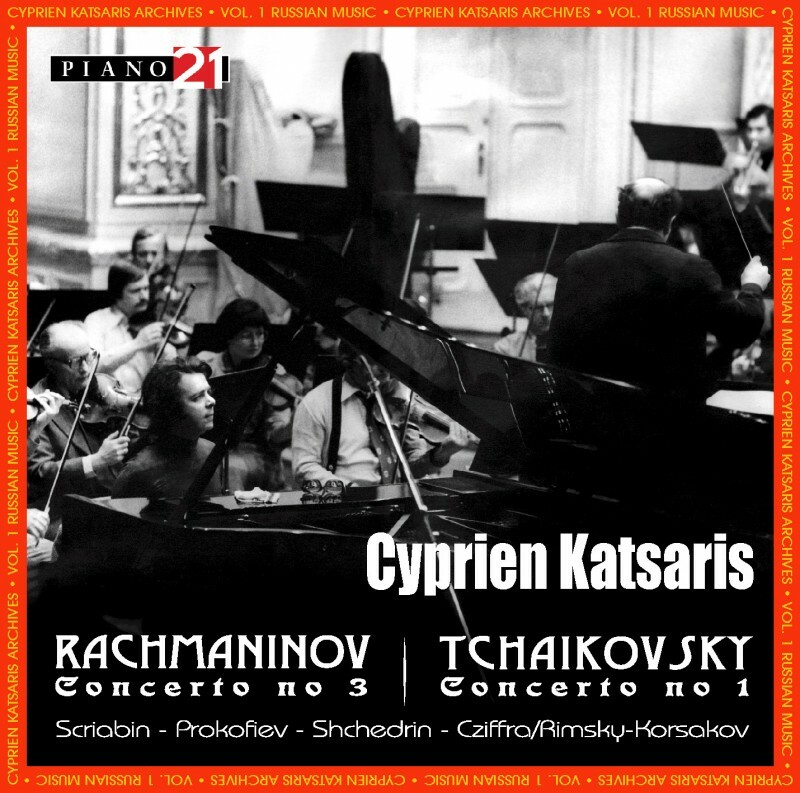 11 and Precipitato of Prokofievs 7th Sonata and the finale to Rachmaninovs3rd Piano Concerto, Cyprien Katsaris phenomenal virtuosity finds its highest expression. This issue displays the at once personal and audacious nature of his playing, the hallmark of a unique performer. Sometimes  as consistently throughput his career  taking politically incorrect decisions, Cyprien Katsaris remains as exciting a musician as ever. Dedicated to French music, this double CD spans four centuries, from a song by King Louis XIII to Boulez, taking in Lully, Rameau, Fauré, Saint-Saëns, Debussy, Ravel and Satie. 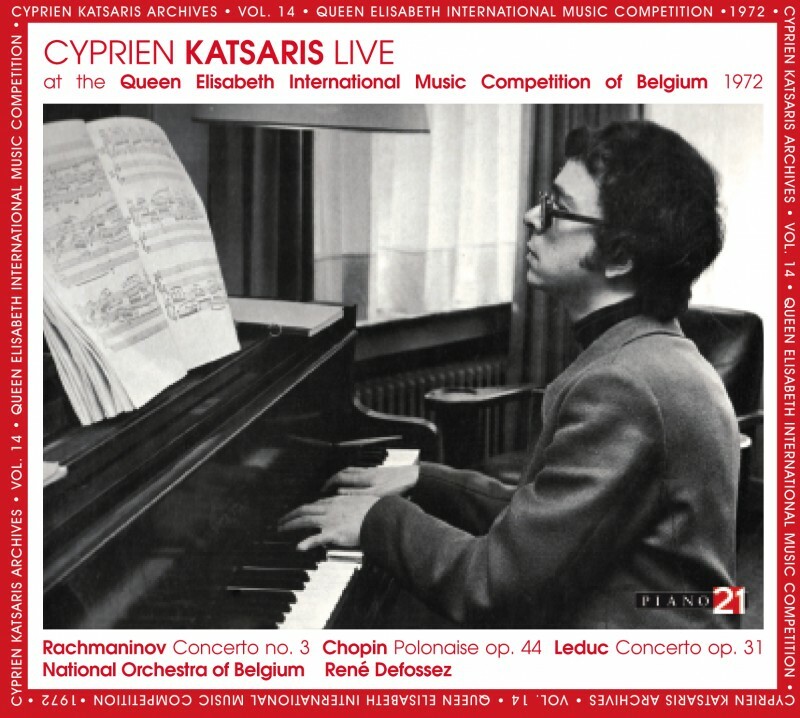 These recordings date from 1967 to 2001, most of them having been made at Cyprien Katsaris concerts around the world. Seeking to achieve a balance between the known repertoire and unfairly neglected works, Cyprien here reveals some rare gems, such as the luminous Musette (bagpipe) from Pignolet de Montéclairs Festes de lété, the sprightly Rigaudons from Circé by Desmarets, the delicate Bourrée from Phaëton, the noble, stately Gavotte from the Ballets du Roy and the splendidly profound Pavane from the Noces du Village (Village Wedding) by Lully. Cyprien Katsaris takes on the major repertoire with, inter alia, the unmissable Clair de Lune of Debussy, Poulencs sumptuous Chemins de lAmour, Saties celebrated Gnossienne no. 1 and Messiaens famous Regard de lÉglise dAmour. The novelty of this album is not confined to the eclectic sweep of its musical range; it extends to various arrangements. Witness Katsaris development of Liszts brilliant paraphrasing of Rouget de Lisles Marseillaise, the piano version of Faurés Aprčs un Ręve by the Argentine composer Luzzati, and Godowskys free transcription of Saint-Saëns Swan. In addition, this album offers an entire set of world premičres, including Pierre-Petits Bagatelle (no. 3 from the Bois de Boulogne), Lullys Minuet from Le Bourgeois Gentilhomme and Massenets Meditation from Thaďs. This hugely diverse musical journey through time and space sweeps the listener into all manner of moods, opening on to vast, opulent new spaces. 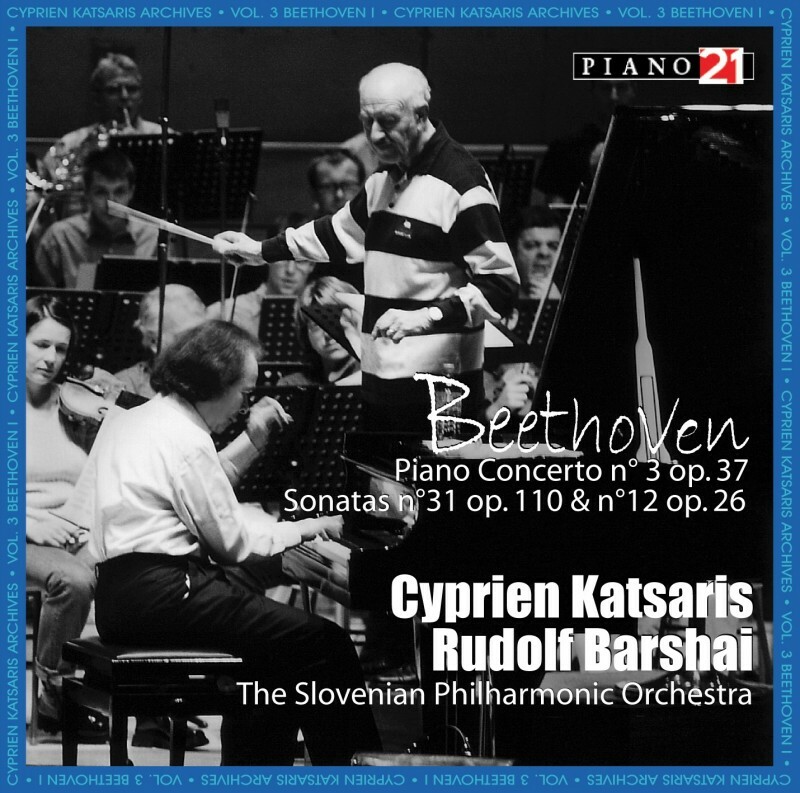 PIANO 21 pays homage to Beethoven with the great conductor Rudolf Barshai who, with the excellent Slovenian Philharmonic Orchestra, joins with Cyprien Katsaris for a live performance of Concerto no. 3, the work which laid the foundation stone of the true romantic concerto. There is an impulsion here to establish equality between the rich textures of the orchestra and the emancipation of the soloist, with an eagerness for dialogue on both sides. In this recording is a bonus in the form of too-little-known cadenza that Liszt wrote for the first movement, an original approach typical of Cyprien Katsaris questing spirit. This CD also features live recordings of the two magnificent Sonatas in A flat major by the Master of Bonn (the only ones he ever wrote in that key): Opus 110, imbued with spirituality, and Opus 26 with its arresting Funeral March for the Death of a Hero, which earned popularity for this piece right from the outset. 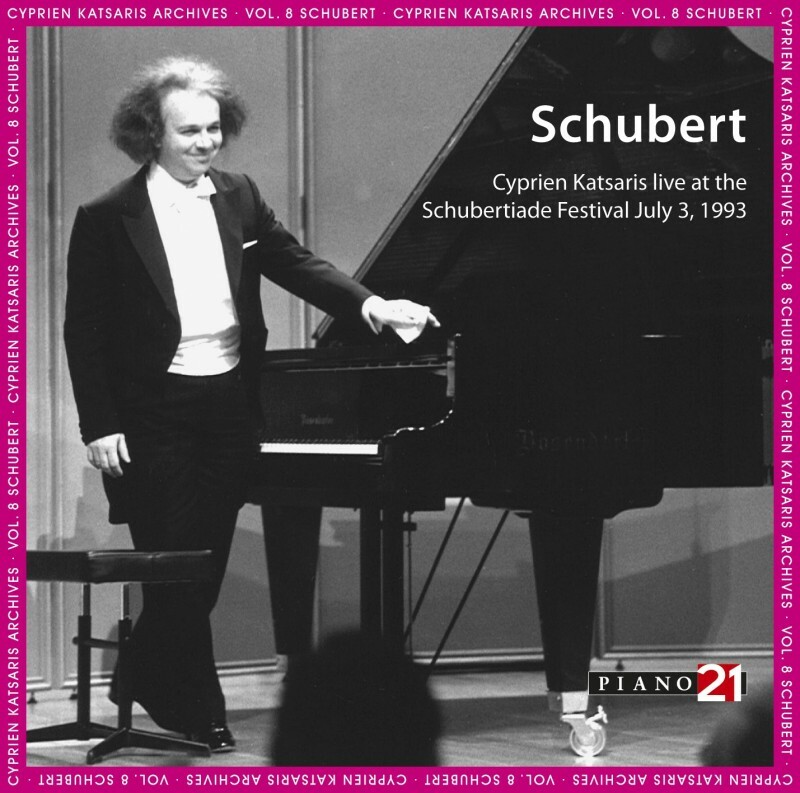 This Schubert recital given by Cyprien Katsaris at the Schubertiade Festival (Feldkirch Conservatory, Austria) on 3 July 1993 presents three masterpieces dating from shortly before the composers death: the first two Klavierstücke D. 946 and his last Sonata no. 23 D. 960, along with a set of Ländler and three Lieder (Ständchen, Der Müller und der Bach and Ave Maria), transcribed by Liszt. In addition, Cyprien Katsaris offers improvisations on themes by Tchaikovsky and Wagner, concluding with the sublime Adagio from Marcellos Oboe Concerto, transcribed by Bach. 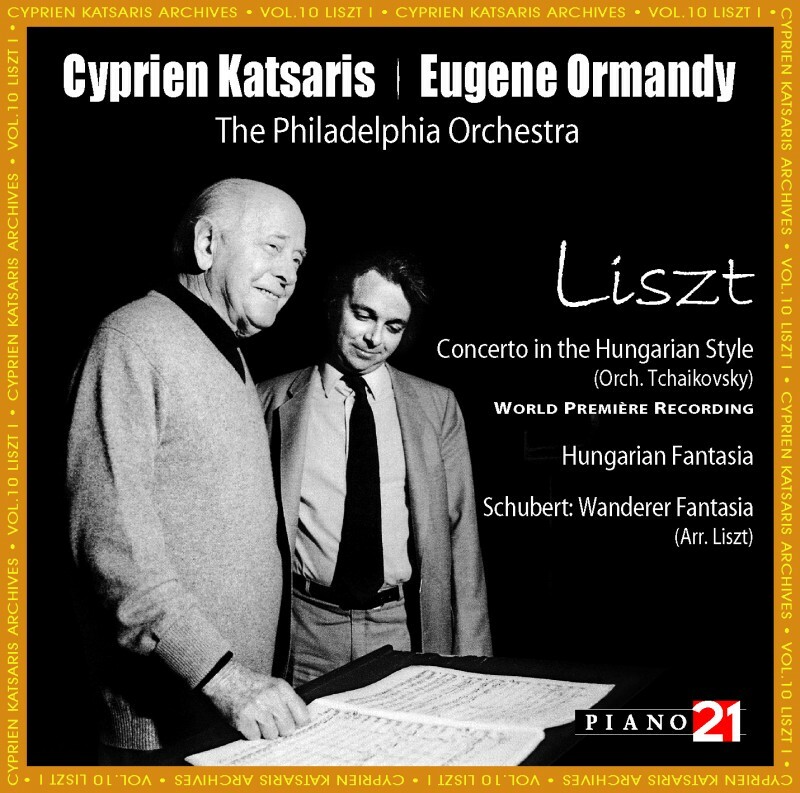 Discover the first world CD recording of the Concerto in the Hungarian Style, on which Liszt started work shortly before his death at the request of his beautiful student, the great pianist Sophie Menter, completed posthumously by Tchaikovsky: one muse  two composers! The CD also features the celebrated Hungarian Fantasy and Schuberts Wanderer Fantasy as scored by Liszt for piano and orchestra. 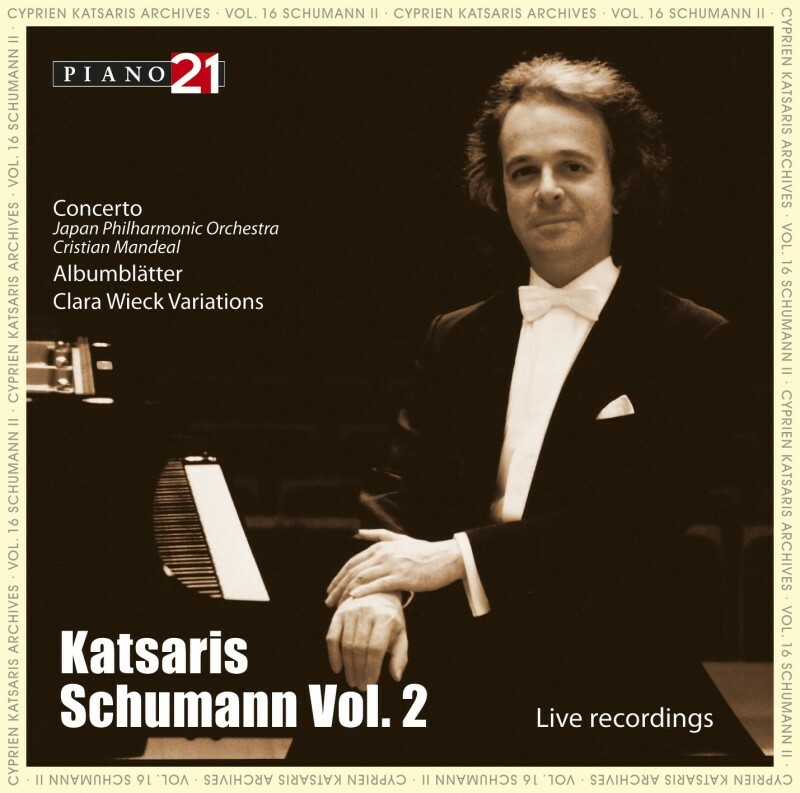 Robert Schumann has always played a special part in the life of Cyprien Katsaris. The enormous sincerity radiating from his work moves Cyprien profoundly and explains the affinity he feels for Schumann. The passion that attends Cypriens approach to the scores created by this great romantic at the tender age of 10 is clearly apparent in the recordings of this CD, taken at various concerts: Papillons (Butterflies) and Blumenstück (Floral piece) at Paris 2 University, Pantheon-Assas (1977), Kinderszenen (Scenes from childhood) in Tokyo (1989), Fantasy in Tallinn (1998) and Arabeske in the Clara Wieck Auditorium in Heidelberg (2003). Robert Schumann frequently found his creative inspiration in his relationship with Clara. Two of the pieces on this CD in particular illustrate this bond between him and Clara, a peerless pianist and a composer whose magnificent repertoire still awaits proper exploration. The Concerto for piano and orchestra, op. 54 originated in a Fantasy written for Clara Schumann, daughter of the eminent Professor Wieck, shortly after Roberts marriage to her, while the Variations on a theme by Clara Wieck is actually the slow movement of the Sonata, op. 14. The former was based on a theme by Clara, whom the composer loved passionately. By way of contrast, Cyprien Katsaris presents to us also the delicate opulence of the musical gems to be found in the Albumblätter. Cyprien Katsaris, a loyal and passionate interpreter of Grieg since the very beginning of his career, here offers us some of the composers masterpieces, most of them live recordings, in particular the celebrated Piano Concerto in A minor, played by Cyprien with the Grosses Rundfunkorchester Leipzig at Jena in Germany with Horst Neumann conducting. This is followed by Morning Mood, op. 46 no. 1 from Peer Gynt  another composition that contributed to Griegs enormous popularity  recorded in the Herkulessaal in Munich in 1983, then Impressions, op. 73 no. 5 (Homage to Chopin), recorded in Tallinn, Estonia at the Klaver Festival in 1998. This music from the heart, sincerity itself, is steeped in a very particular ambiance, such as we find in the eighteen Lyric Pieces (Grieg wrote 66 in all) offered in this recording: the sweet Arietta op. 12/1, the first piece in the cycle, nostalgically answered by Remembrances op. 71/7 which brings the collection full circle; the Norwegian Dance op. 47/4, a frenzied Halling, and the mischievous Dance of the Dwarves op. 54/3; the airy freshness of Butterfly op. 43/1, with its Schumannesque scoring, and the simple descriptiveness of Little Bird op. 43/4. Among these oft-neglected works, eleven of the Lyric Pieces were recorded in the composers home town, at a recital at the Bergen Festival in 1986. 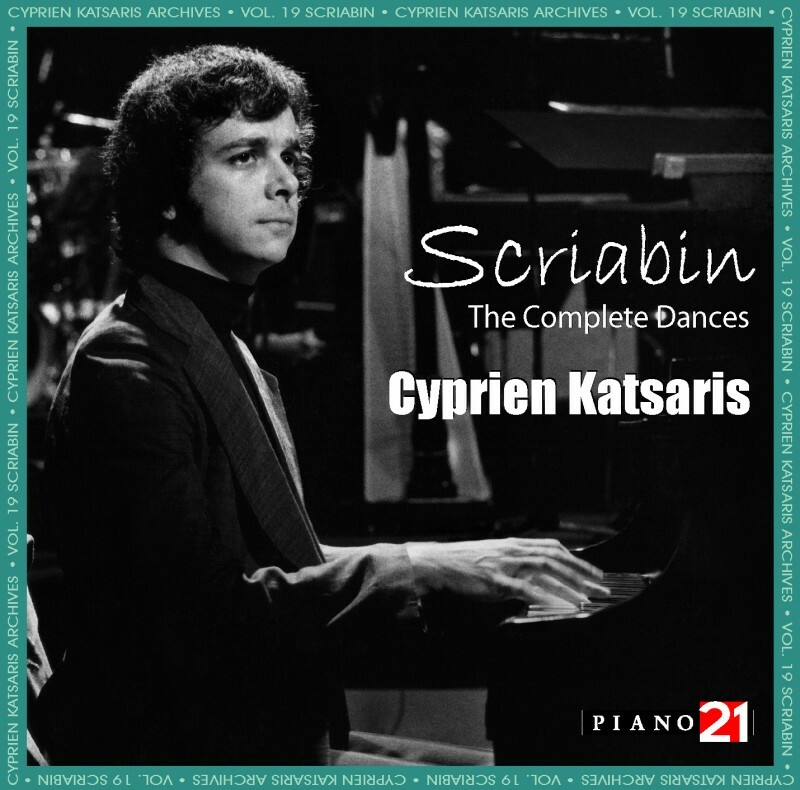 This double CD issued in the series Cyprien Katsaris Archives, presents in their entirety Scriabins dances, recorded in 1977. 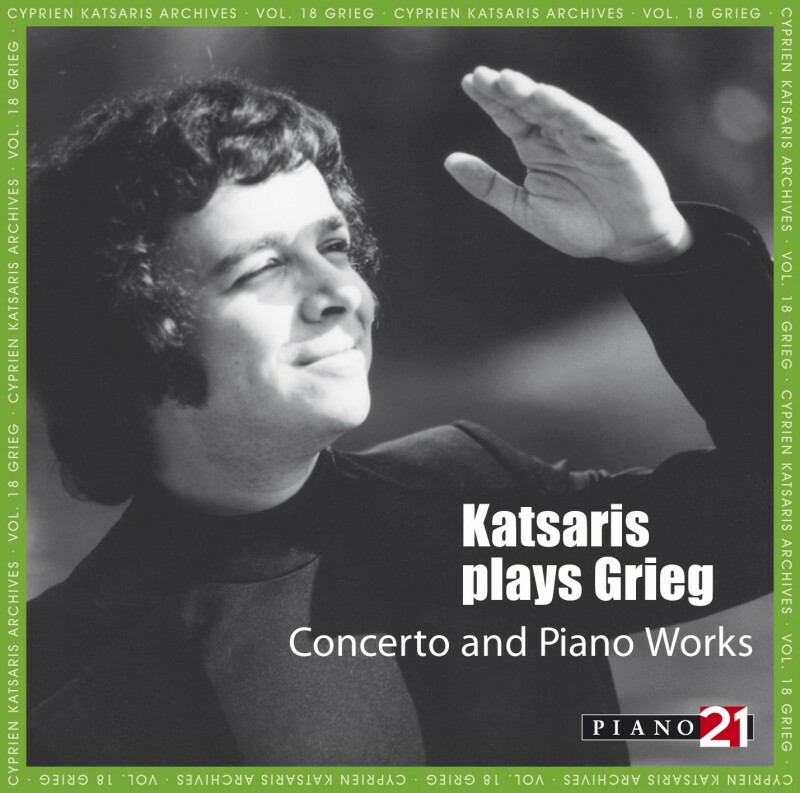 The eminently personal subtlety of Katsaris playing and the poetic power of his interpretation render full justice to the art of this great composer. Indeed, his soaring virtuosity, feeling for polyphony and the colours he conjures from the instrument enable Katsaris to envelop the listener in Scriabins particular musical universe, with its original, complex signature and rich sonority. 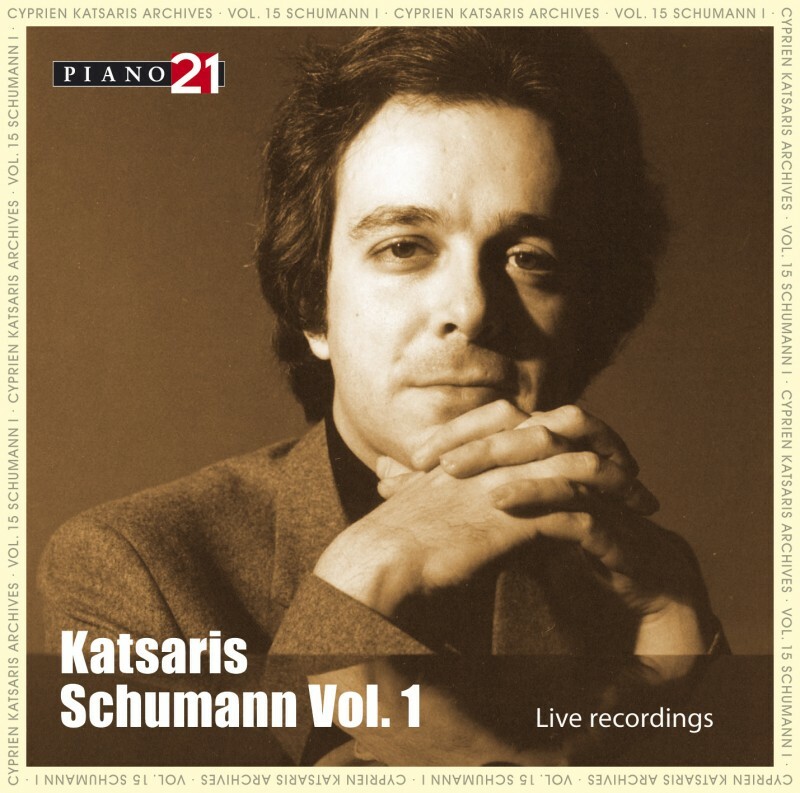 Sharing Scriabins natural descendancy from the pianists of the 19th century and something too of his affinity for spirituality, Katsaris proves his particular aptitude for expressing the musical and philosophical ideals of this composer and to illumine the inexpressible to which only music can give utterance. 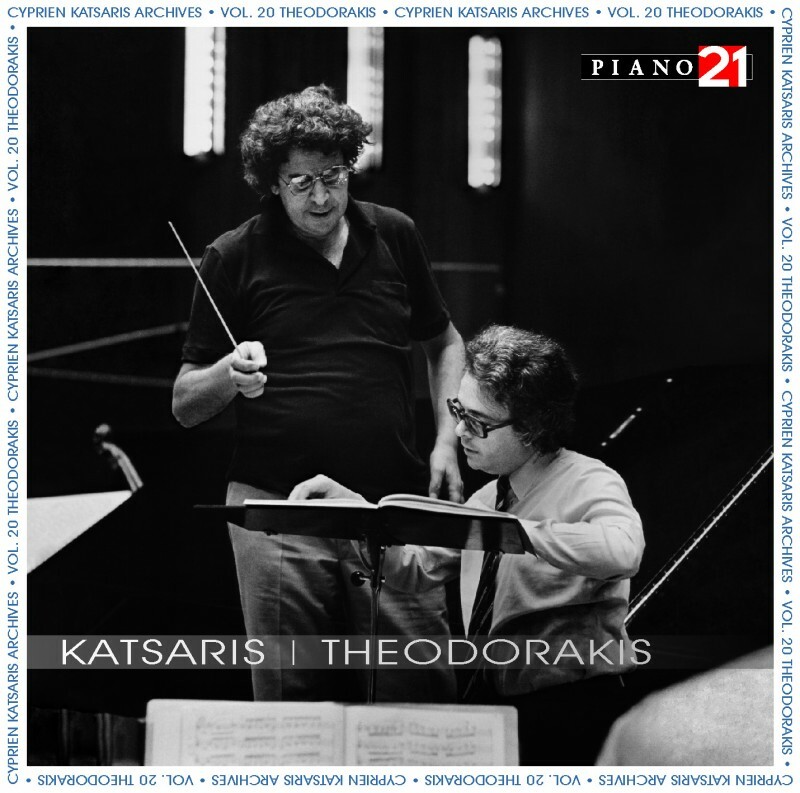 This double CD presents a good opportunity to discover the symphonic works of the world-famous Greek composer Mikis Theodorakis (*1925), a living legend in his own country. It contains the Suite no. 1 for Piano and Orchestra and the Piano Concerto, written in the fifties, when Theodorakis was still at the Paris Conservatoire, and the Symphony no. 2, The Song of the Earth (based on Suite no. 1 and the ballet Antigone), which marks the composers return to his symphonic writing, after 20 years of struggle and suffering for his country and his people. Discover the first studio recording on CD of this landmark Symphony no. 2 and the fascinating Suite and Concerto, in unique recordings, made in 1982 on the occasion of performances at the Echternach International Festival (Luxembourg) and in Antwerp. Theodorakis himself conducts the RTL Symphony Orchestra, and Cyprien Katsaris demonstrates in all three works his legendary virtuosity and unsurpassed artistry. "I have been lucky enough to work closely with Cyprien Katsaris on several European tours, during which we performed three of my works for piano and orchestra: the Suite no. 1, the Concerto and the Second Symphony. So I have no hesitation in claiming that as a musician and a pianist, he is a unique phenomenon, both on account of his astonishing, I would even say superhuman, technique and his faultless musicianship. For this reason, I consider myself to have been privileged to hear my works interpreted by Katsaris and moreover, to have experienced, every time I conducted him, a profound emotion and perfect aesthetic sense." 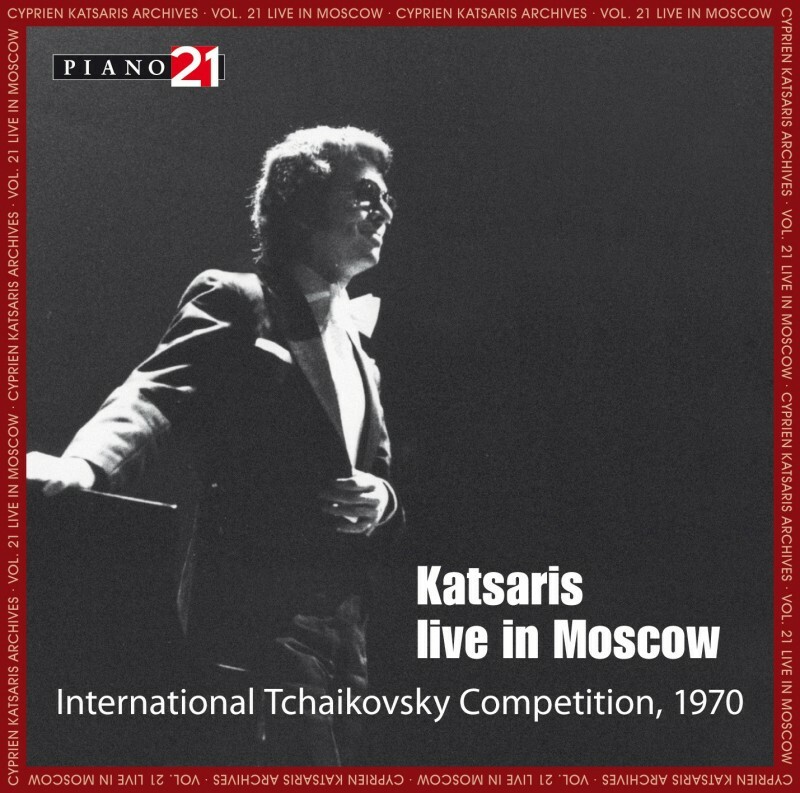 This issue affords an opportunity to hear Cyprien Katsaris performing in the 1970 International Tchaikovsky Competition. Created in 1958 during the Cold War, this prestigious concours was seen as the embodiment of the cultural superiority of the USSR, galvanised by the technological triumph of the Sputnik space launch a few weeks before. This programme illustrates the manifold aspects of Cyprien Katsaris personality at the age of 19. This recording allows us, like members of the jury  chaired on that occasion by Emil Gilels  or as simple spectators, to appreciate the young candidates interpretations. The works here include the brilliant, vigorous Toccata of the Estonian composer Jaan Rääts, which was the compulsory piece for all candidates, along with the final Prelude and Fugue of Dimitry Shostakovich, a composer rarely found in Cyprien Katsaris repertoire.